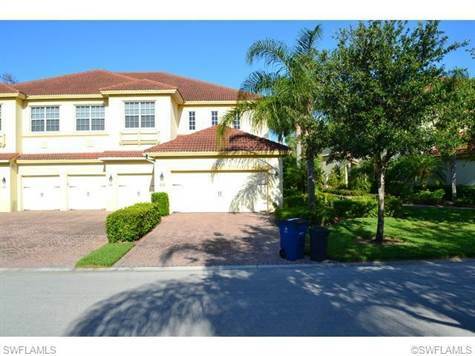 Beautiful end unit, 3br/2b with 2 car attached garage. Property features include ceramic tile flooring in wet areas, laminate through out bedrooms, huge kitchen with breakfast nook, separate laundry/utility room, and large master suite with double vanities and soaking tub. Emerson Square is a gated community with plenty of amenities, including clubhouse, community pool, spa and fitness center. Close to shopping, restaurants, Ft. Myers, & Bonita, this unit has the feel and size of a single family home.